At Apollonia House Dental, we provide dental solutions for your entire family. If you’re of the Baby Boomer generation, you may be considering getting dental work done. You’ve probably considered it over the years but became too busy or weren’t sure if it was in your budget. Now, you want someone who understands your stage of life with plenty of experience to provide the necessary treatment—no more, and no less. Dentist Dr Rob Sivertsen has been in practice for more than 30 years. You want to take care of your health as you near retirement. Having great oral health is a vital part of your overall health and wellbeing. If you’ve considered making some changes, we’re here to help you. . Some people are surprised to hear that orthodontics isn’t limited to children and young adults. Orthodontic treatment can be completed at any stage in life. There are few situations that could only have been addressed at an earlier point in time. It’s not too late to align your teeth if you’ve been wanting to do so for years. Most people wouldn’t wish to have an obviously false looking smile. You want an appearance that looks subtle and natural. It’s normal to see changes in your teeth with time. Our aim is to make sure your teeth look good and function for as long as possible. You can feel confident that your smile will look and feel appropriate for you. If you haven’t been to the dentist in some time, please don’t feel as if you can’t begin to go now. We know that some people have put off their appointments because they feel embarrassed. There is no judgment from anyone on our team and we are simply here to help you with dentistry for baby boomers in Toowoomba. You may have had parents who wore dentures and you don’t want to have to resort to having them. 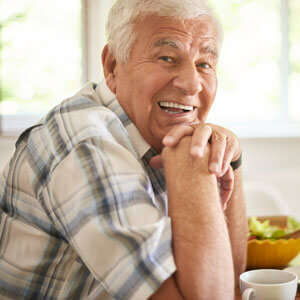 Most of our patients are surprised to find out that they will likely never need full dentures. Though your teeth may not be perfect, they are usually adequate to work with. A partial denture can be an ideal solution that allows you to retain your natural teeth, while improving your chewing ability and appearance.